AWE2019 is just around the corner. It is reported that this year's AWE exhibition will be deeply integrated with the foreword technologies such as artificial intelligence, mobile Internet, Internet of Things, cloud computing, etc., showing the achievements of various brands in the fields of home appliances and consumer electronics. It is worth mentioning that this year, Hisense Central Air Conditioning will also participate in the exhibition activities with the theme of “Smart Air”, showcase the new technology concepts in the field of smart homes, and various smart home appliances to realize the IOT layout smart home full link. Bring healthy and intelligent air solutions to modern homes. 'Siri, open the bedroom curtains.' 'Siri, I am at home.' 'Siri, good night.' When a simple Siri command is developed, the background software of the smart light bulb can be turned on, and the Hisense central air conditioner automatically adjusts the constant temperature mode. Doors and windows, music, etc. are automatically turned on, and the coffee machine automatically modulates the coffee... All the smart home scenes are synchronized and synchronized, and the voice commands of Apple HomeKit are inseparable. In the era when smart homes are getting more and more attention, the smart home industry will usher in pioneering technological changes and subversive smart scene experiences. Among them, the Apple HomeKit home smart terminal platform that can achieve common collaboration can be used in the home. Various smart products, such as central air conditioning, lighting, and fresh air systems, are connected through smart home terminal platforms to enable people to enjoy smarter and more convenient home life. As the first domestic central air-conditioning brand in Apple HomeKit, Hisense is adhering to the 6S international quality standard system. Its main products can be connected to the HomeKit platform. It adopts the universal central air-conditioning function, and can customize the personalized air solution according to the user's situation. Siri Voice one-click voice control, various scenes automatically start, technology home life to handcuffs. After years of development, the smart home field has moved from single product intelligence to whole house intelligence. The intelligent era is welcoming the second half of the competition based on ecological interconnection. NB-IoT is undoubtedly the core and important trend of building an industrial ecology. At this time, the intelligent and efficient use of the Internet of Things solution, combined with its own hardware strength, makes the product nirvana, realizes product innovation and upgrade, and brings to consumers. A new life experience. 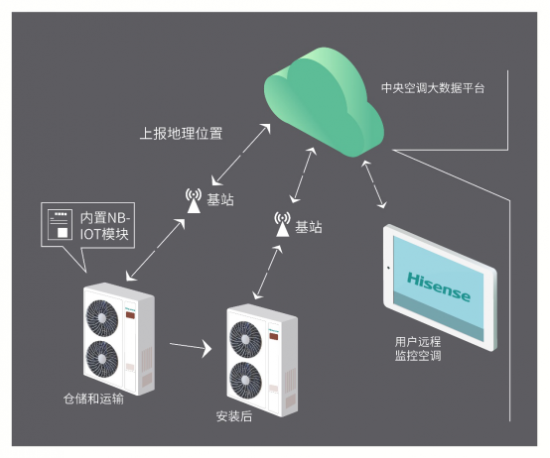 Hisense central air-conditioning layout multi-line NB-IoT module, it will realize the Internet of Things + central air-conditioning linkage, from the terminal data collection, reliable data transmission, remote control, etc., the smart home full link dynamic display in front of you. The Hisense central air conditioner equipped with multi-line NB-Iot module is simple and convenient to use. 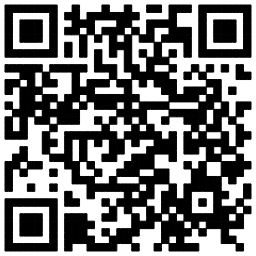 Users only need to scan the QR code to bind and remotely monitor the real-time use of the air conditioner, regardless of whether the user forgets to turn off the air conditioner or fails during use. The platform will monitor and track in real time, and will report to Hisense Hitachi after-sales service in the first time to improve the after-sales service system, saving users time and effort. At the same time, through the big data analysis function of the central air-conditioning IoT platform, real-time after-sales maintenance linkage can be realized, which will bring better products and intimate services to users. It can also solve the problems of warehouse management and logistics tracking. Hisense Central Air Conditioning Insight has a new trend in the development of the industry, applying the new concept of technology to smart homes, and using diversified products to tailor smart air solutions, aiming at users to explore smart home ecological construction and share smart home life.